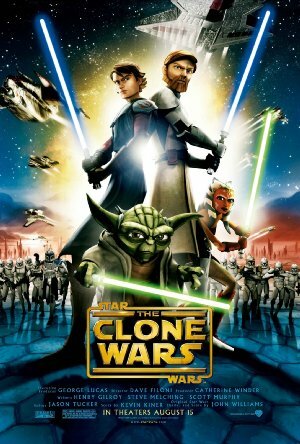 The first cinematic Star Wars film after Revenge of the Sith, The Clone Wars signified a deeper exploration into the Clone Wars first mentioned by Obi-Wan Kenobi in A New Hope. Introducing future fan favorites, Ahsoka Tano and Asajj Ventress, it begins in the midst of a battle on the planet Christophis and the kidnapping of a young Hutt. From relentless battle droids to lightsaber duels on the sand dunes of Tatooine, The Clone Wars ushered in a new era of Star Wars following the prequel trilogy. A whole week will be given to the film for watching, review, and commentating, and we will return to the episodes next week. Next time on The Clone Wars! The next episode will be Season 3's episode 1, "The Clone Cadets," which will be followed by Season 3's 3rd episode, "Supply Lines."